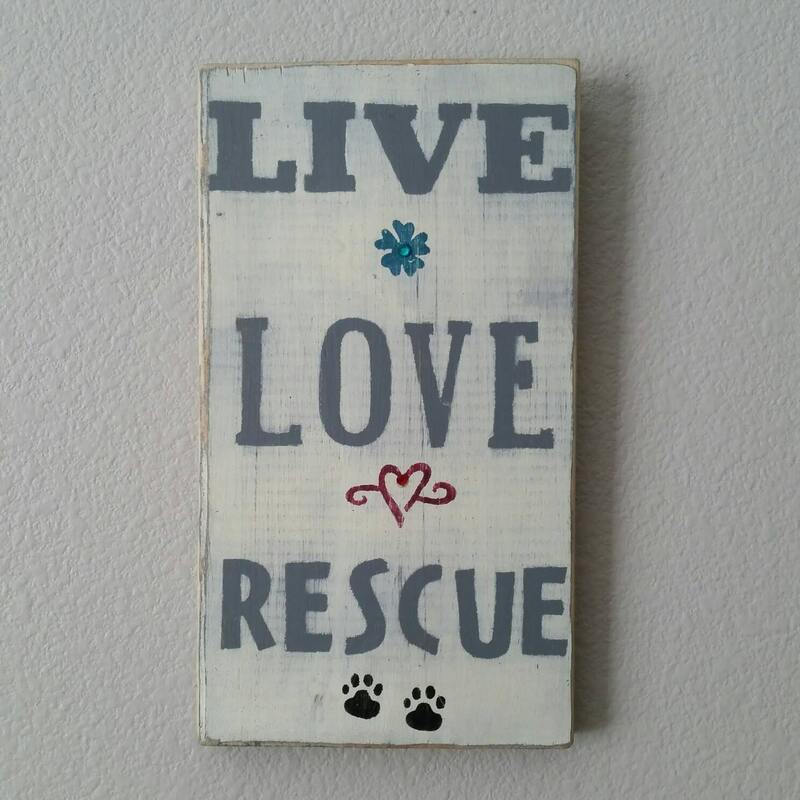 "Live Love Rescue" Handmade Wooden Sign. 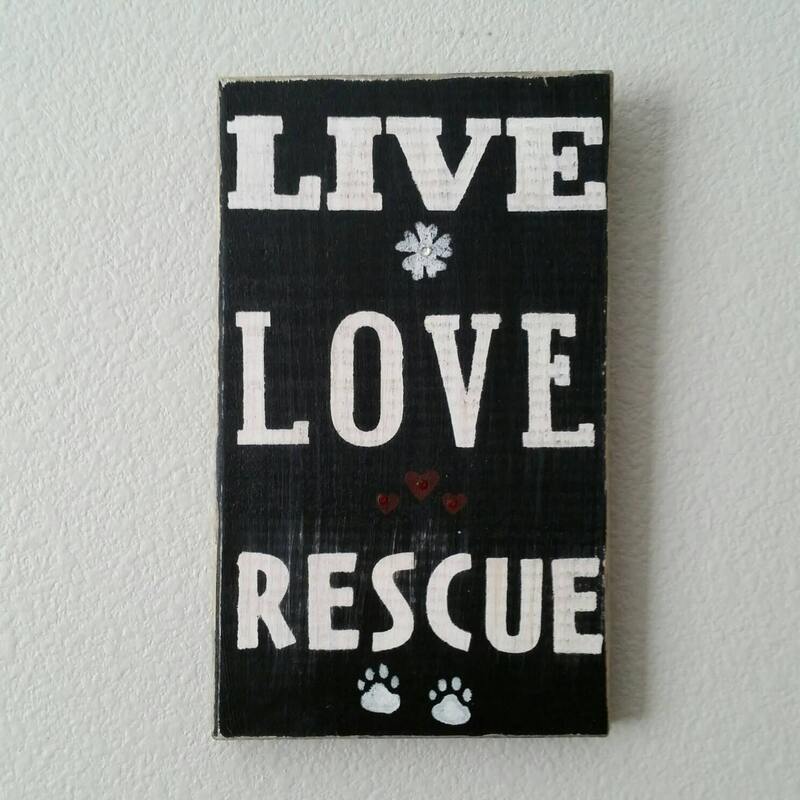 A great reminder of the importance of Animal Rescue. Each sign is handcrafted and hand painted. Has a weathered appearance. Available in Gray with white letters. Approximate size is 9 " L x 6" W.
Can you customize your signs ? Yes! 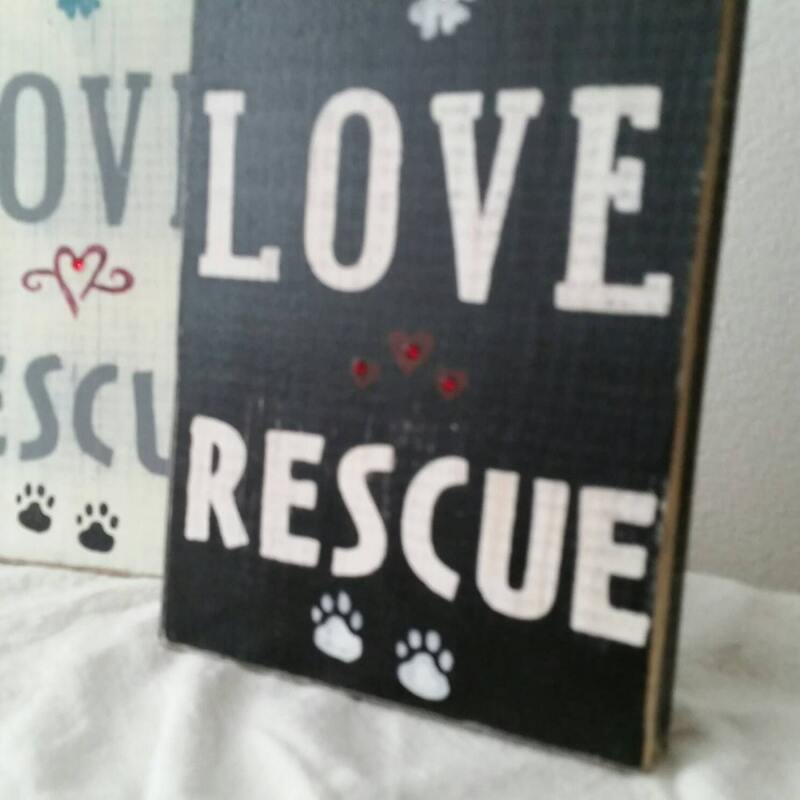 We are more than happy to customize any signs color, or add your breed , or any other specific thing you may think of if we are able.